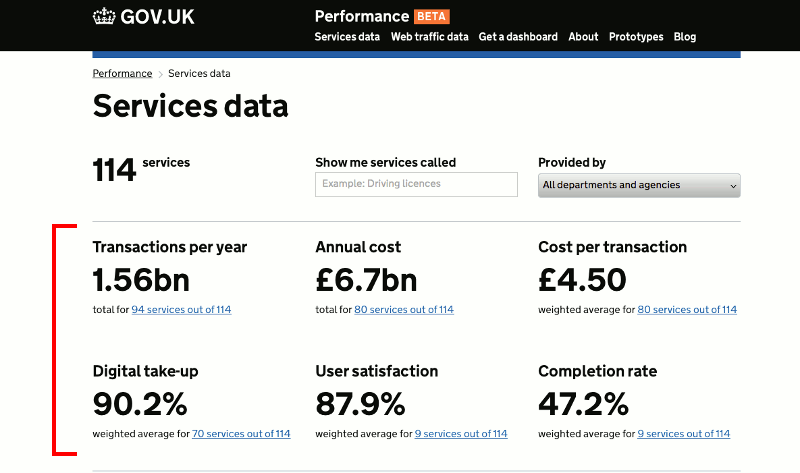 Our new Services page lists government services for which we have dashboards. 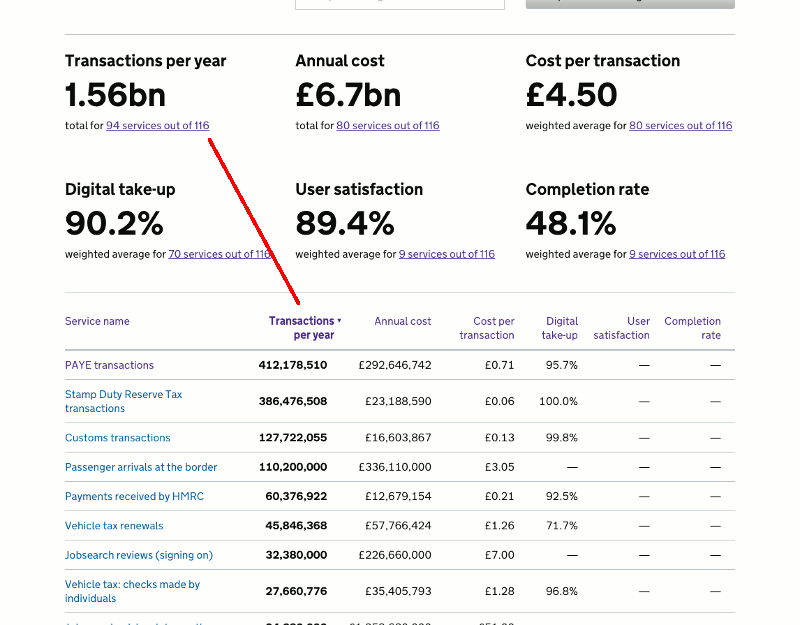 We recently improved the page by adding key data for each service, including User satisfaction and Cost per transaction. 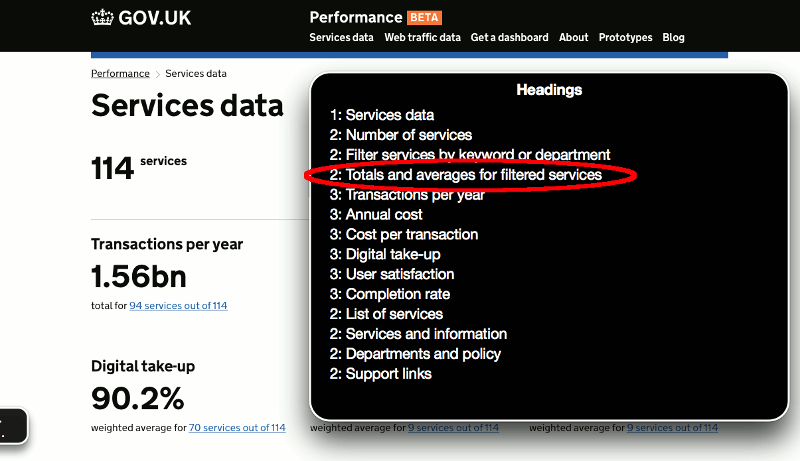 “Totals and averages for filtered services” is a good descriptive heading for the group.. As in the screen below, the heading is now available in the Voiceover headings list to help the user navigate to that section. When the table of services is sorted by clicking a column heading, it seems simplest to re-render the whole table including the headings. It was only when I was testing with a screenreader that I saw this would cause a problem for any keyboard user. When the user clicks / selects a column heading link, keyboard focus is obviously on that element. If the element is then removed and refreshed, the focus is thrown back to the top of the page - not ideal as the user will want to remain in the same part of the page, eg. to reverse the sort order. So on sorting I replaced just the table rows and not the heading. We’d welcome any more feedback, please use the comment facility below!